East Looe Bed and Breakfasts. Compare latest rates and Live availability for all your favourite places and places you have always wanted to go using our new My Shortlist feature. Click + to add to your Shortlist. Bed and Breakfasts in East Looe, Cornwall for 1 night from Fri Apr 19, 2019 to Sat Apr 20, 2019 within 10 miles, in an Average Nightly price range of £1 to £200. We are just a stones throw away from Looe s many shops cafes pubs and restaurants and the safe bathing beach and banjo pier via the quaint narrow streets of the Old Town. The South West Coastal path train station car parks and bus stops are all within a 5 minute walk. br / br / br / br / All our rooms are tastefully decorated many having stunning views of the harbour river and bridge. and include: flat screen free view tv /dvd alarm clock radio hair dryer tea/coffee making facilities. After a busy day out and about why not relax with a well earned drink in our lounge bar or step out onto our large front patio and simply enjoy the views. br / br / br / br / We pride ourselves on our relaxed friendly easy going atmosphere here at Bridgeside with the majority of our guests returning year after year. br / br / br / br / We have FREE WI-FI in all rooms. Dolphin House a charming Victorian Guest House overlooking Looe s beautiful estuary and ancient woodlands beyond. The historic town of Looe with its beach harbour and working quay are all within a few minutes walk away. Choose from seven individual en-suite rooms standard king-size and twin beds. All our elegant rooms offer quality beds furniture and linens with modern shower en-suites. A real home from home atmosphere relaxed and warm. br / br / br / br / Breakfast is served in the ground floor elegant dining room until 10 am. We use the finest Cornish produce sourced locally where ever possible and because our breakfasts are cooked to order we are happy to cater for special dietary needs including vegetarian and gluten free. Please contact us to discuss your particular needs. br / br / br / br / You are able to come and go as you please use our licensed guest lounge and sun lounge with free internet access and complementary tea and coffee is served with our Sundowner drinks menu. Watch the world go by after a full day exploring and enjoy a glass of beer or wine before going into town for the evening. Looe has many places to eat from fish and chops on the beach to fine dining by the quayside watching the boats coming home. br / br / br / br / There is much to do in Looe with many activities available from shark and reef fishing boat trips along the river to coastal walks along the coastal path ancient woodlands or historic town trail. Looe is ideally situated to explore the rest of Cornwall and South Devon. National Trust properties nearby include Lanhydrock Cotehele and Antony. Many places are less than and hour drive away including the Lost Gardens of Heligan Eden Project and Bodmin Moor. br / br / br / br / Dogs are accepted by prior arrangement and with a surcharge please phone 01503 262578 for details or if we can help you with anything. Peace, tranquility, and a warm welcome await at Hendersick Farmhouse. Historic farmhouse set in rambling gardens and idyllic countryside on the Coastal Footpath nr Talland Bay. Sea views,spacious rooms scrumptious breakfasts and friendly hospitality. 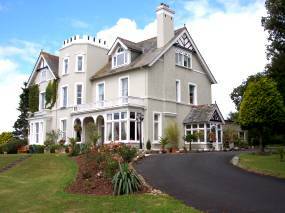 Recently refurbished with warm comfortable rooms overlooking Seaton s finest beach. It holds an ever-changing selection of local and guest ales on draught a selection of wines and a contemporary menu served every day. Staff are well trained smart and prepared to cater for all individual needs. br / br / Situated on the ground floor is the restaurant and bar area. The restaurant is split into two areas the main Dining Area and then the Lounge Area for patrons looking to relax. Both areas have a wood burning stove stove for that ultimate cosy feel in the winter months. br / br / The establishment is family and dog-friendly and dogs can be accommodated in the bedrooms for an additional surcharge.. br / br / The restaurant menu consists of all your traditional english Pub Favourites a diverse children s menu light bites and snacks in the form of sandwiches paninis and jacket potatoes. We also offer a locally renowned Sunday Carvery with a choice of three meats and of meats up to 7 vegetable choices plus home-made Yorkshire Puddings. If none of that picks your fancy we also have our Chef s Special Board with our weekly delicacies and expansive Vegetarian Dishes . br / br / The establishment holds two wheelchair accessible entrances to the ground floor and staff are always more than happy to go the extra mile and help or advise with any special requirements or questions. Please note though that all bedrooms are on the first floor and only accessible by stairs. br / br / Note that a 25% deposit will be taken on all accommodation bookings. br / br / During the Summer school holidays the May/June half term and May Day bank holiday weekend a minimum 2 night stay is required on all bookings. br / br / All accommodation is room-only and we do not have facilities to offer breakfast on site. Boasting a garden, Little Fox Hotel is set in Torpoint and also provides a terrace and a shared lounge. This 4-star hotel offers a concierge service and free WiFi. Guests can enjoy garden views. All units in the hotel are fitted with a flat-screen TV. The private bathroom is equipped with a shower, free toiletries and a hair dryer. All rooms will provide guests with a wardrobe and a coffee machine. Little Fox Hotel offers a children's playground. Guests at the accommodation will be able to enjoy activities in and around Torpoint, like cycling. Plymouth is 13 km from Little Fox Hotel, while Tavistock is 35 km from the property. The nearest airport is Newquay Cornwall Airport, 66 km from the hotel. Featuring free WiFi and a terrace, The Claremont Hotel offers accommodation in Polperro. Free private parking is available on site. You will find a shared lounge at the property. The rooms include a flat-screen TV. Certain units include a seating area where you can relax. Plymouth is 27 km from The Claremont Hotel, while Newquay is 40 km from the property. The nearest airport is Newquay Cornwall Airport, 36 km from The Claremont Hotel. The Liscawn Hotel is the perfect place to stay whilst exploring Devon & Cornwall. Situated in beautiful South East Cornwall This 14th Century Hotel offers comfortable en-suite rooms in 8 acres of private grounds with far reaching views of Dartmoor. The South West Coast Path is just a few moments’ walk away with its beautiful beaches and rugged coastline whilst Plymouth Looe and many local tourist attractions such as the Eden Project & Adrenaline Quarry are only a short drive away. We welcome you to The Ship Inn Lerryn a sixteenth century inn which has always been at the heart of Lerryn's community. The old slate floors and candlelight will remind you of the past as will listening to the rich voices of the locals who still make their living from land river and sea. The Ship Inn Lerryn is the only pub in this magical creekside village where the catch of the day might arrive via a lucky fisherman the local villagers strut their stuff in the summer review and everyone simply everyone mucks about on the river. br / br / br / br / After a long day exploring come back to a warm welcome at The Ship Inn Lerryn where you will have good service locally sourced homemade food and accommodation in our tastefully decorated rooms. br / br / br / br / Our bar and restaurant is an ideal meeting and relaxing place for travellers and locals alike. We offer you an extensive choice of real ales. Our bar/restaurant food is prepared by our chef who takes pride in serving you well presented freshly prepared and locally sourced produce. br / br / br / br / Lerryn is a magical place peacefully nestling in a lovely tree lined river valley. A small friendly picturesque riverside village Lerryn is set in a conservation area within an area of outstanding natural beauty. It has magnetic appeal to artists walkers country lovers boating enthusiasts and is much appreciated by residents and visitors alike. br / br / br / br / The River Lerryn runs through the middle of the village and has glorious woodland walks on either side some private woodland and some National Trust and Forestry Commission owned. Much in evidence on the river are numerous wild ducks (puddleducks) all obligingly tame when offered food and are quite a local attraction br / br / br / br / The Eden Project is approx 9 miles with the Lost Gardens of Heligan approximately 13 miles. Lanhydrock (the famous Cornish National Trust property) is only 5 miles away. Further away on the North coast but within easy reach are Newquay Padstow and Tintagel.